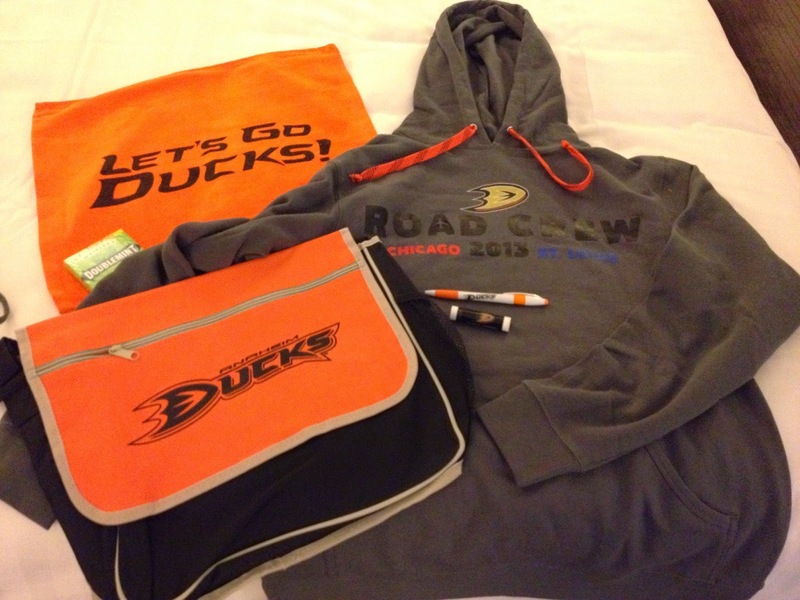 Every year, the Anaheim Ducks arrange to have an official road trip, and call it the Road Crew. 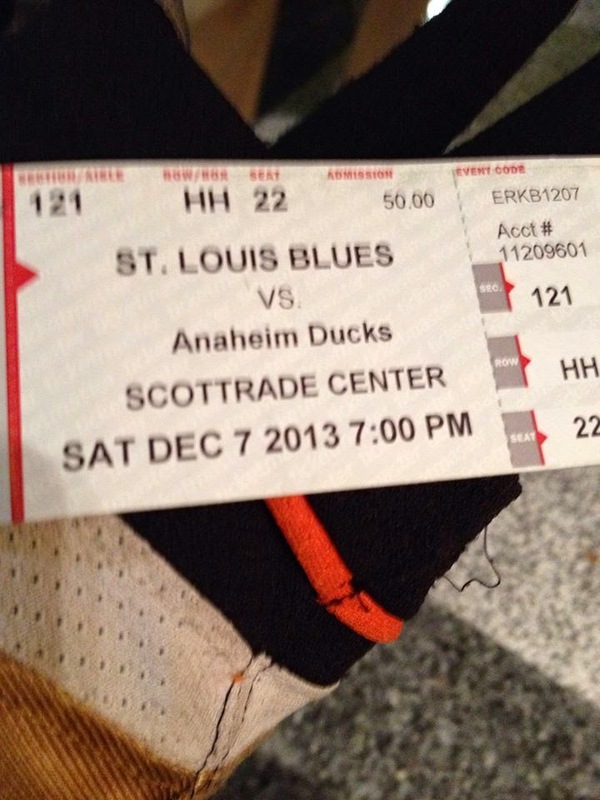 I’ve been to London, Helsinki/ Stockholm, San Jose, and now Chicago and St. Louis. 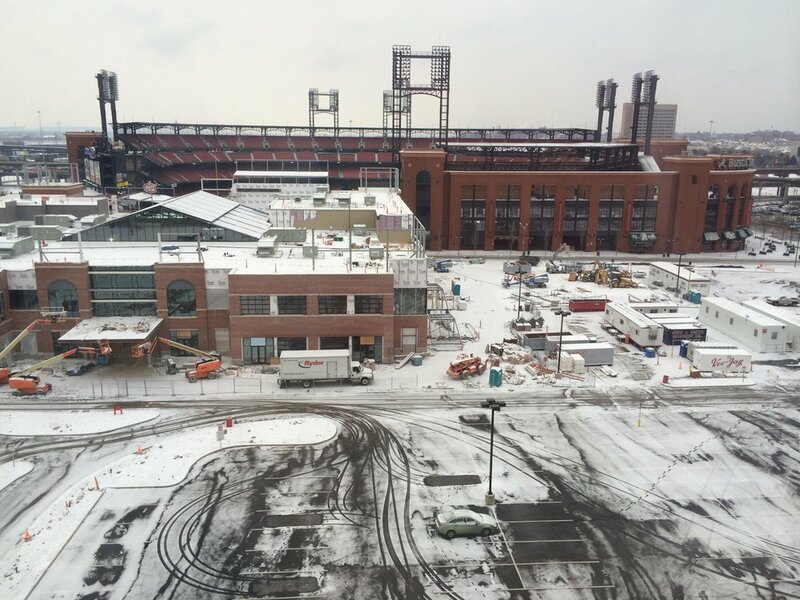 The cost includes our hotel, transportation within the city, transportation from Chicago to St. Louis, and the game tickets. Airfare is extra, and must be made on your own. Normally, we get breakfast, but not on this trip. 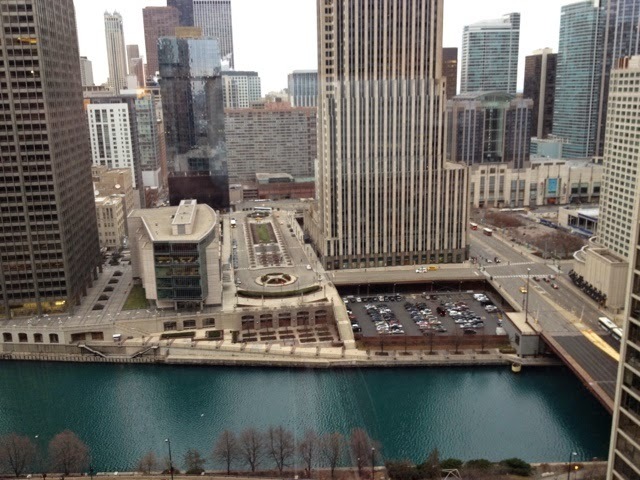 Our hotel for Chicago was the Hyatt Regency, located on East Wacker Drive near the Miracle Mile. Chicago is known as the “windy city” and we must have experienced that first hand, as our room on the 29th floor was always whistling. The pro was the view was magnificent, while the con was the noise, as we were not sure if it was an airplane flying overhead or the noise coming from the wind. Our hotel was at an excellent location, but the 19 degree weather kept us from traveling too far. 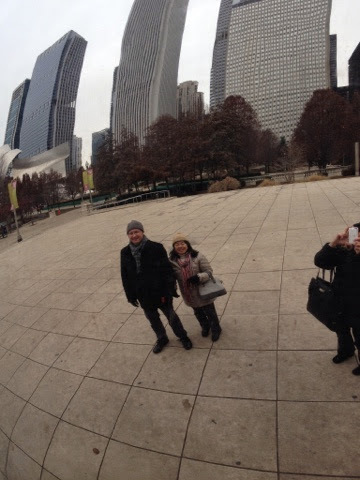 We did venture out for breakfast, and we did explore the surrounding areas such as Millennium Park, home to the Bean. Finally came game day at the United Center. This place is not near downtown. Good thing our group had a bus. Second, sitting upstairs wasn’t that bad. 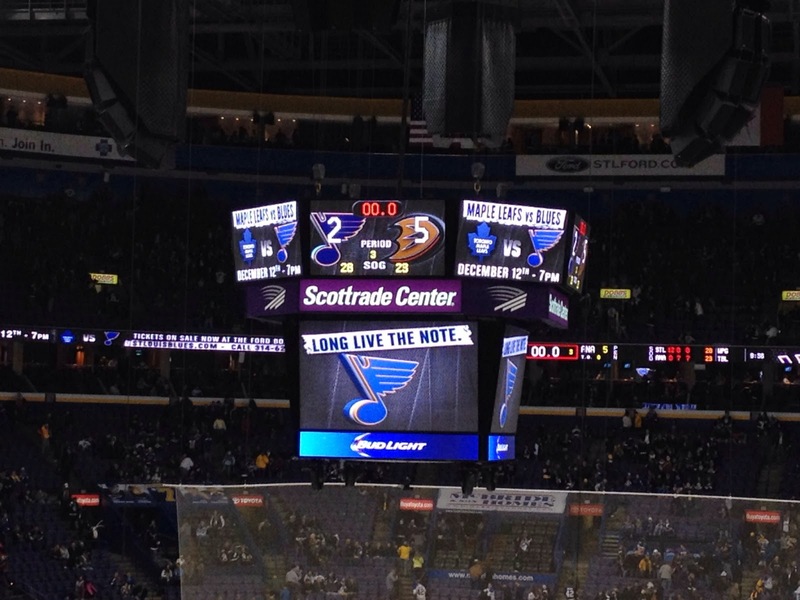 Its better than most arenas, and we were able to enjoy the game with minimal heckling. 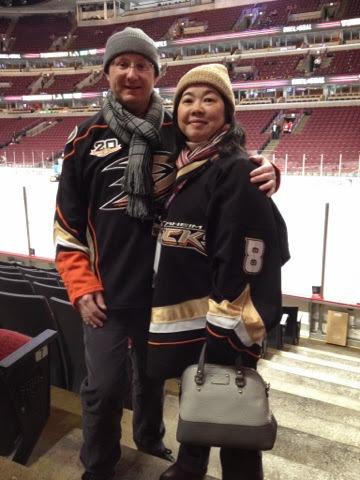 The fans were nice to us, and gave us a few ribbings about being from Anaheim… especially since it was 19 degrees in Chicago, and we left behind 76 degree SoCal weather. Food selection was not the best. After going around in circles, I had the Italian beef, which was a little dry, and Stephen had the meatball sandwich, which was messy but so much better than my beef. Being an Original 6 team, I took the time to admire the banners above my head, as well as the banners for the basketball team, The Chicago Bulls. Overall, very impressive, and the fact they won 2 Stanley Cups within the past 8 years. 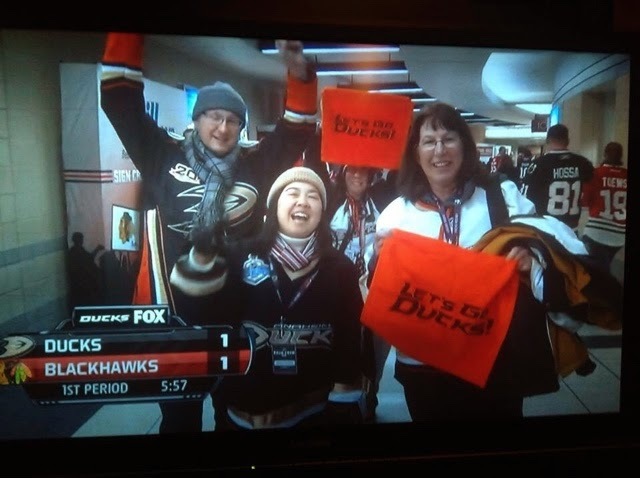 While walking around, the Fox Sports TV guy was filming Ducks fans on the road, and a clip of us made it on TV. 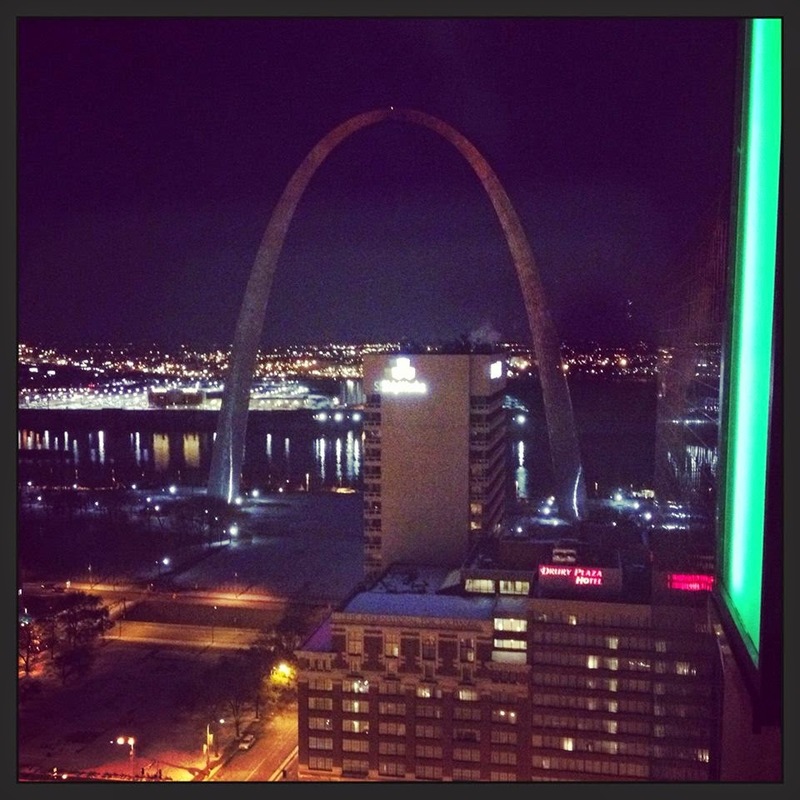 The next day, we headed out to St. Louis via the way of the Amtrak train. What tickets?? 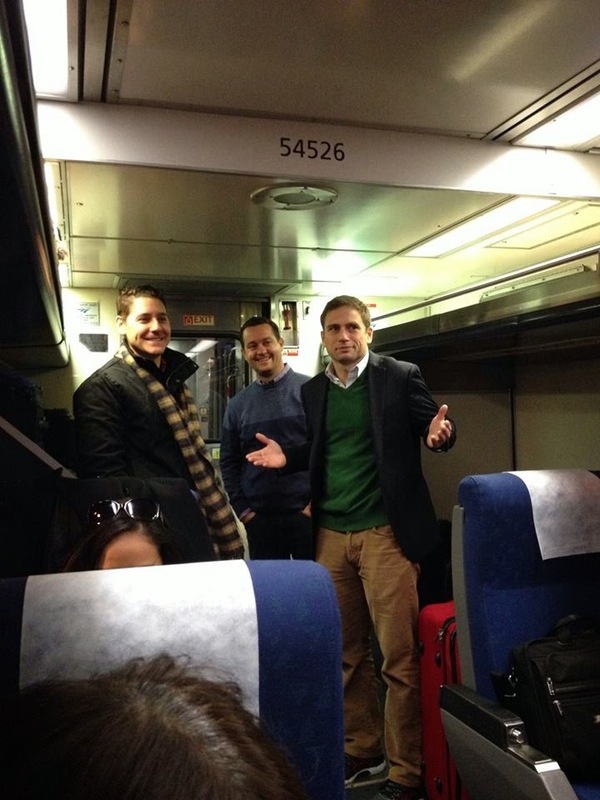 Kris can’t find our Amtrak tickets. 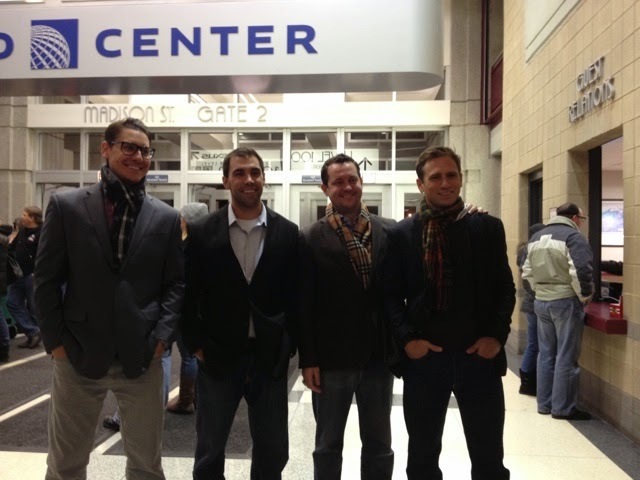 We pulled into the St. Louis station, hopped on the bus, and made our way to the Hilton St. Louis, with about an hour to spare, before heading back out to the game at the Scottrade Center.